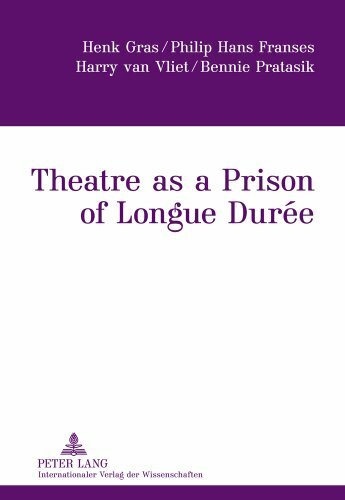 9783631616352 | Peter Lang Pub Inc, August 26, 2011, cover price $59.95 | About this edition: For over a hundred years a wildly held assumption has ruled the debate on the social composition of theatre audiences. 9780521801669 | Cambridge Univ Pr, August 27, 2001, cover price $105.00 | About this edition: This book presents the most important and practically relevant quantitative models for marketing research. 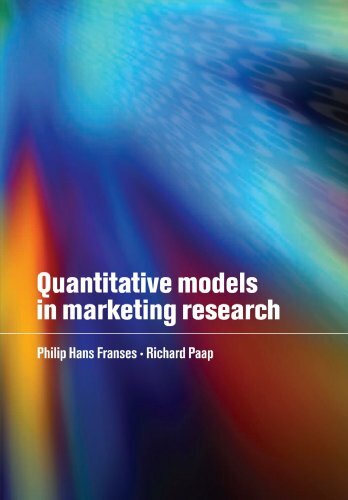 9780521143653 | Reprint edition (Cambridge Univ Pr, June 10, 2010), cover price $34.99 | About this edition: This book presents the most important and practically relevant quantitative models for marketing research. 9780199247011 | Oxford Univ Pr, October 30, 2010, cover price $95.00 | About this edition: This is a concise introduction to the literature on the statistical analysis of atypical observations in economic and financial time series. 9780199247028 | Oxford Univ Pr, July 14, 2011, cover price $49.95 | About this edition: This is a concise introduction to the literature on the statistical analysis of atypical observations in economic and financial time series. 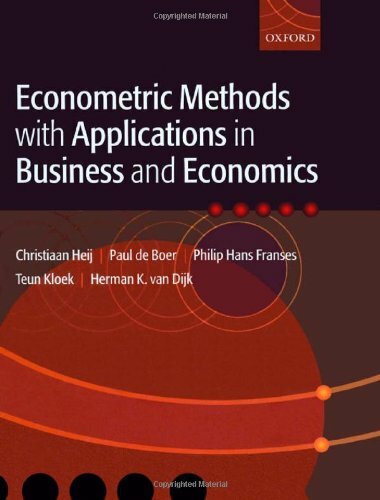 9780199268016 | Oxford Univ Pr, June 3, 2004, cover price $99.00 | About this edition: Applied work in business and economics often require a solid understanding of econometric methods to support decision making. 9780199242023 | Oxford Univ Pr on Demand, May 1, 2004, cover price $140.00 | About this edition: In this modern study of the use of periodic models in the description and forecasting of economic data the authors investigate such areas as seasonal time series, periodic time series models, periodic integration and periodic cointegration. 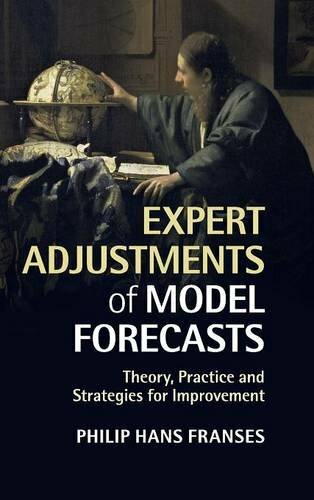 9780199242030 | Oxford Univ Pr, May 1, 2004, cover price $65.00 | About this edition: This book considers periodic time series models for seasonal data, characterized by parameters that differ across the seasons, and focuses on their usefulness for out-of-sample forecasting. 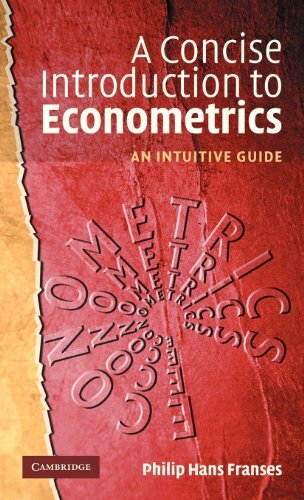 9780521817691 | Cambridge Univ Pr, January 13, 2003, cover price $110.00 | About this edition: This book is an ideal introduction for beginning students of econometrics that assumes only basic familiarity with matrix algebra and calculus. 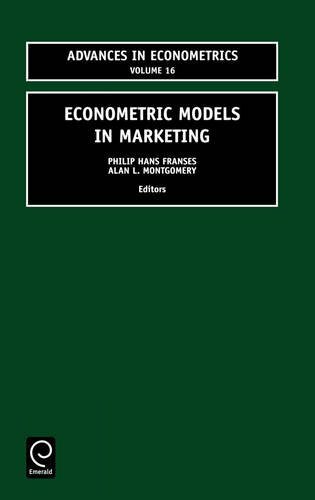 9780762308576 | Jai, February 1, 2002, cover price $143.99 | About this edition: The 16th edition of the Advances in Econometrics series presents 12 papers discussing the contemporary interface between marketing and econometrics. 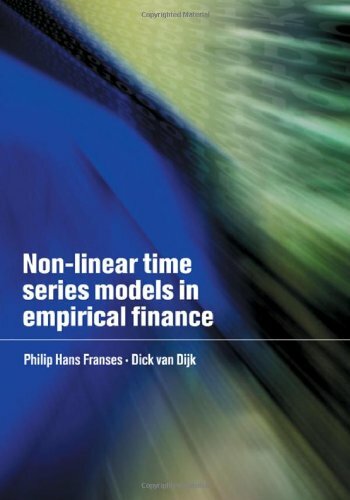 9780521779654 | Cambridge Univ Pr, October 1, 2000, cover price $64.99 | About this edition: This is the most up-to-date and accessible guide to one of the fastest growing areas in financial analysis by two of the most accomplished young econometricians in Europe. 9780521770415 | Cambridge Univ Pr, October 1, 2000, cover price $155.00 | About this edition: This is the most up-to-date and accessible guide to one of the fastest growing areas in financial analysis by two of the most accomplished young econometricians in Europe. 9780521584043 | Cambridge Univ Pr, January 1, 1999, cover price $80.00 | About this edition: Time Series Models for Business and Economic Forecasting is the most up-to-date and accessible guide to one of the fastest growing areas in business and economic analysis. 9780521586412 | Cambridge Univ Pr, November 1, 1998, cover price $48.00 | About this edition: Time Series Models for Business and Economic Forecasting is the most up-to-date and accessible guide to one of the fastest growing areas in business and economic analysis. 9780198774532 | Oxford Univ Pr, October 17, 1996, cover price $69.00 | About this edition: This text provides a self-contained account of periodic models for seasonally observed economic time series with stochastic trends. 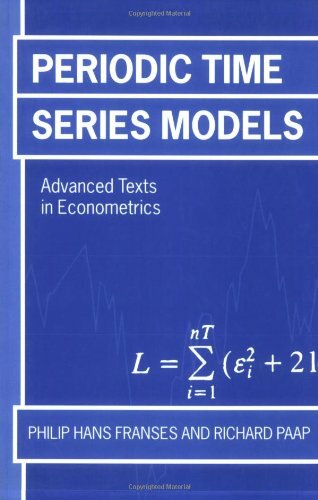 9780198774549 | Oxford Univ Pr on Demand, October 17, 1996, cover price $76.00 | About this edition: This book provides a self-contained account of periodic models for seasonally observed economic time series with stochastic trends.